REDONDO BEACH, Calif., Nov. 8, 2012 -- Northrop Grumman Corporation (NYSE:NOC) and the U.S. Air Force's Space and Missile Systems Center will demonstrate ways to make future protected military satellite communications capabilities more affordable with three awards received Sept. 28 under the Protected Military Satellite Communication Design for Affordability Risk Reduction initiative. Develop an unclassified, government-owned waveform specification and demonstrate its feasibility through component-level demonstrations. Design and demonstrate a space/ground modem at the component level through analyses, software simulations, waveform implementation and a hardware demonstration. Demonstrate gateway affordability by using commercial-off-the-shelf components combined with software emulation. The demonstration also will show the ability to interface with a mission management system, integration into an information assurance architecture, as well as other key gateway functions and capabilities. "Only today's protected satellite communications ensure connectivity that's highly resistant to interference and detection in a growing threat environment that includes many different types of physical, electronic and cyber threats," said Stuart Linsky, vice president, communication systems, Northrop Grumman Aerospace Systems. 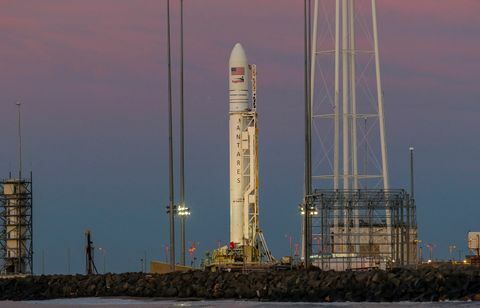 "By leveraging the government's investment in these protected communication technologies, tomorrow's tactical, protected satellite communications will be able to provide these capabilities at no more cost than unprotected military satellite communications. This will revolutionize our national networks, connecting platforms to warfighters and decision makers during diplomacy through enforcement." For nearly 30 years, Northrop Grumman has provided sophisticated and robust protected satellite communications payloads that provide U.S. military forces with increasing, highly secure connectivity. This unique capability enables Northrop Grumman to deliver survivable communications that help the nation achieve information superiority.